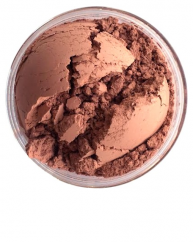 Powder your face and body with one of Aromaleigh’s natural mineral makeup formulas. 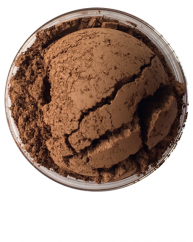 With the “Laluna” trio of Face and Body Powders, you too, can be showered with a positively immortal glimmer. 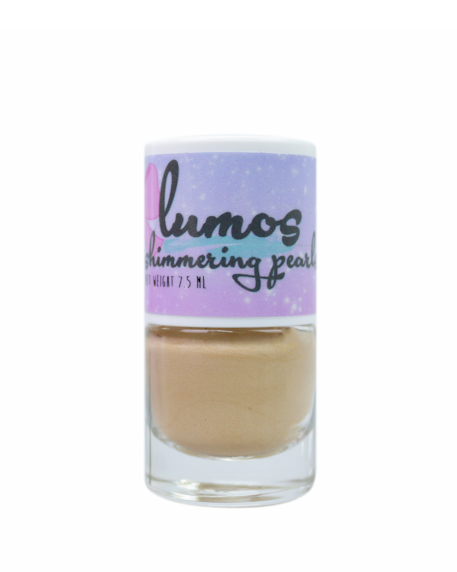 Laluna powders come in three levels of glimmer, so that you can choose one to suit your needs and of course, your personality. 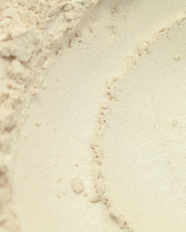 Ingredients: Silica, Mica (CI 77019), Titanium dioxide (CI 77891). Dazzle formula contains Calcium Borosilicate. 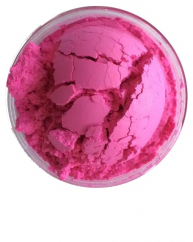 Laluna Lustre is a very fine, silky powder that slightly lightens your skin and gives you a luminous gleam. 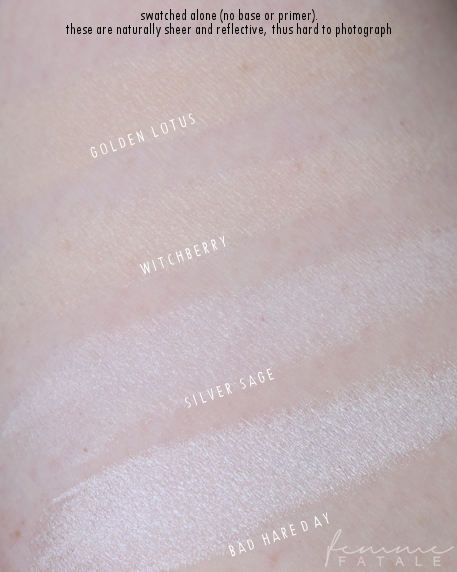 It’s the most subtle of the trio, but personally, I feel that it gives the most interesting effect because it is so finely milled that your skin becomes radiant with an iridescent glow. 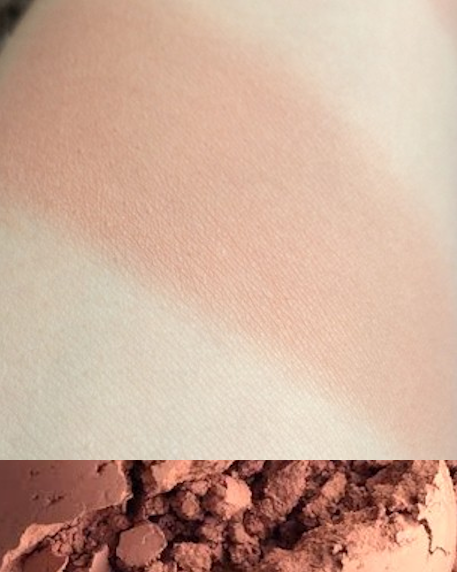 This makeup is especially dramatic when applied to your face, especially if you have pale, smooth skin- this makeup actually makes your skin look like glowing moonstone, or marble. 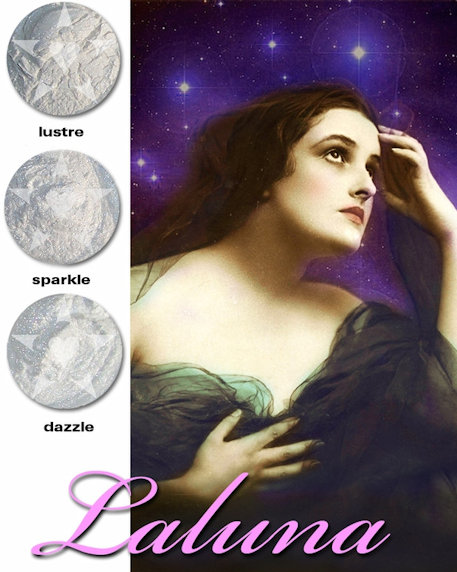 Laluna Sparkle contains distinct shimmering iridescent glimmers. In the sunlight or under bright light, it shimmers like radiant tiny diamonds. Apply over skin that you have applied lotion to (preferably with a high SPF, of course! 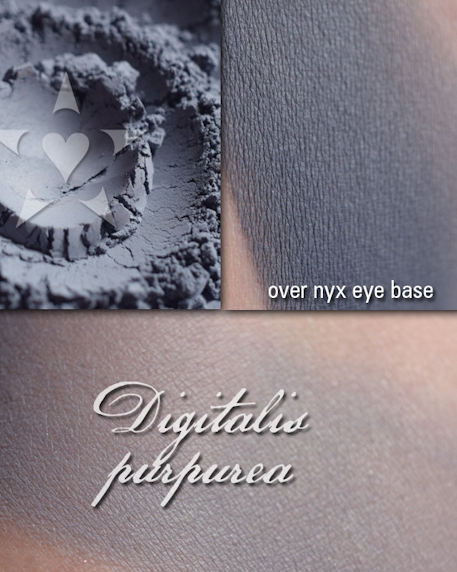 ), the effect is even more pronounced, and the product will stay longer on your skin. Twilight Sparkle may slightly lighten your skin, but it is formulated to be suitable for many skintones, in a transparent base. 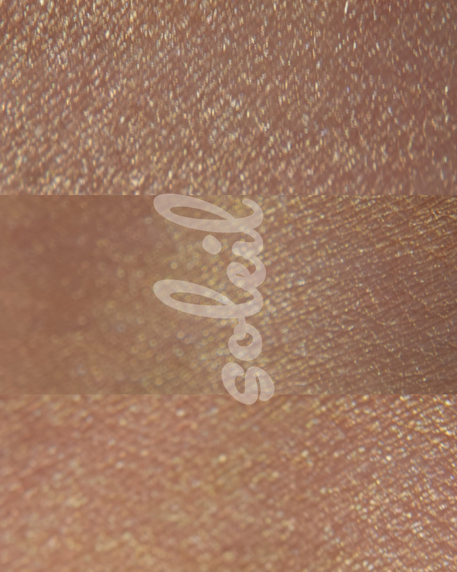 Laluna Dazzle provides the most intense borealis iridescent sparkle on your skin. Dazzle sparkles beautifully even under indoor lights, and simply, well… “Dazzles” in the bright sunlight.Wear this one when you *want* to be noticed. Apply over skin that you have applied lotion to (preferably with a high SPF, of course!) 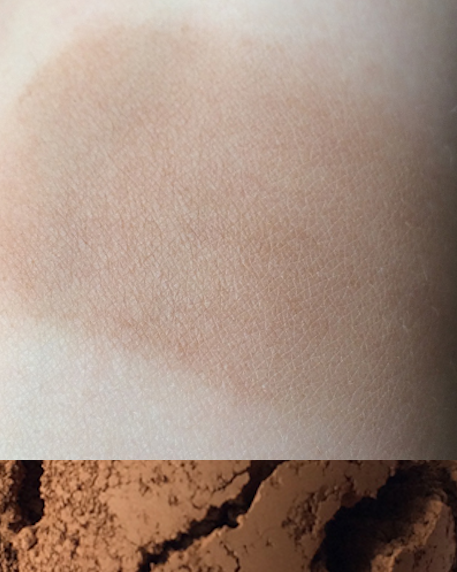 and the effect is more pronounced and the product will stay longer on your skin. 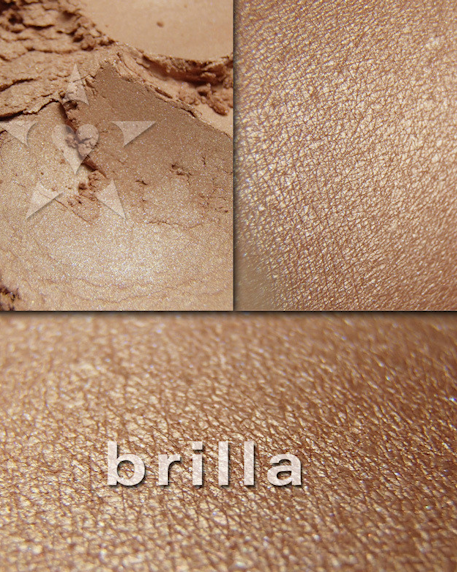 This formula contains pure mineral makeup shimmer in a transparent base, so it can be used on a variety of skintones. 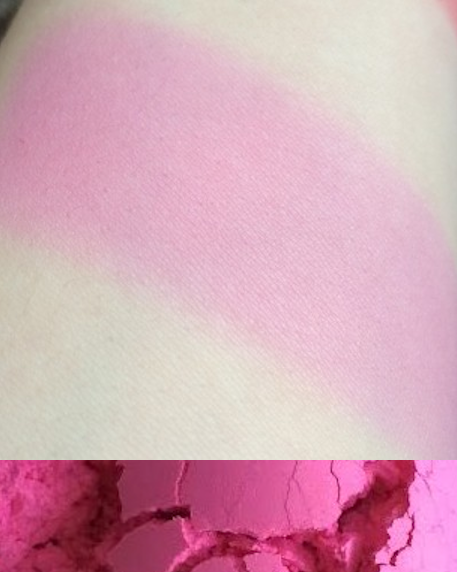 All formulas, however, work best with those who have pale skin… and produce beautiful effects ranging from ethereal and luminous to boldly dazzling.